For years now, a sleek modern-looking single-deck railcar has remained indoors at the National Tramway Museum at Crich. Leeds 602 is Leeds’ latest tram – not the last to run but the last to be built – one of a pair of prototype railcars designed for an abortive scheme for subways under the city centre. The only trams ever built by the Leeds coachbuilder Charles H Roe, these two Leeds railcars came into operation in 1953, Coronation year, hence their unusual and very stylish purple and cream livery. The sister car, 601, had identical bodywork but used a conventional tramway electrical control system; 602 was more revolutionary, using VAMBAC (Variable Automatic Multi-notch Breaking And Acceleration), the same control gear that caused problems in Blackpool because their VAMBAC trams had alarming acceleration and a voracious appetite for current. Both Leeds trams had little use over about four years, and both were sold for preservation. 601 was so badly vandalised at a site in Leeds that it had to be scrapped. 602 was purchased for £150, largely at the instigation of a Leeds enthusiast, Dr Granville King, and taken to Crich. 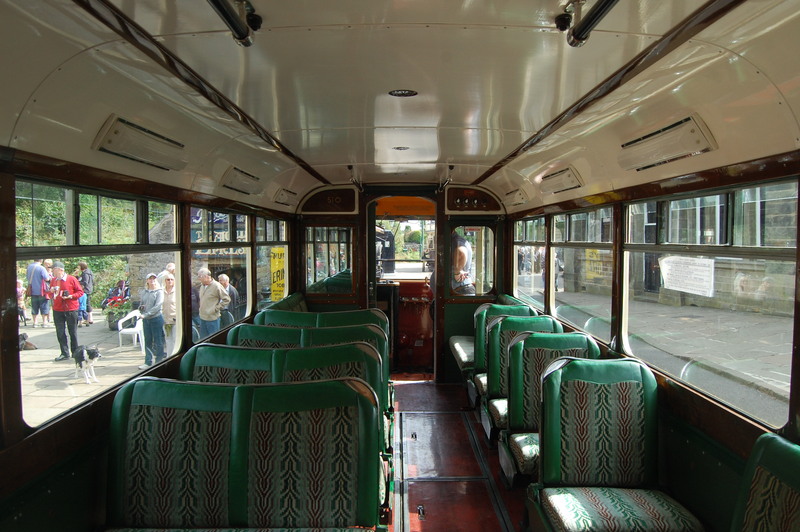 After Dr King died in 2013 – his funeral took place at Crich [http://www.derbytelegraph.co.uk/Tributes-paid-tramway-attraction-fan-Granville/story-19968551-detail/story.html] and his ashes are scattered there – the Museum Board learnt that he had left £250,000 specifically to restore 602 to running condition. This placed the Board in a difficult position, because the professional conservators’ advice was to keep 602 as it was, an apparently unaltered example of 1950s engineering. To the fury of many tram enthusiasts the Board rejected the bequest and 602 seems destined to sit in an exhibition hall for the foreseeable future. The ensuing correspondence has been vehement and vituperative – http://www.britishtramsonline.co.uk/news/?p=7932 – and the public-relations consequences of turning down a £250,000 legacy will no doubt reverberate for years. There are lessons to be learned. It seems a good idea when making a conditional bequest to check whether it will be acceptable. It’s inadvisable to look a gift horse in the mouth. And it’s easier to maintain integrity when it’s possible to be consistent. The National Tramway Museum has an unassailable reputation for restoring both operable trams – Southampton 45 and Sheffield 510 – and barely recognisable relics – London United 159 and Sheffield 74. Many contributors to the tram-enthusiast blogs can’t understand why it’s in order to restore London County Council 1 “Bluebird” which will otherwise literally disintegrate, and not to do the same with Leeds 602 when the necessary cash is offered on a plate. I’ve no credentials as a tram enthusiast. I’m grateful to be able to look at 602, but I’d much prefer to ride on it. After all, it’s hardly Stephenson’s Rocket. An update on this saga is at http://www.britishtramsonline.co.uk/news/?p=12743#comment-3225397. This entry was posted in Transports of Delight on May 28, 2015 by Mike Higginbottom. 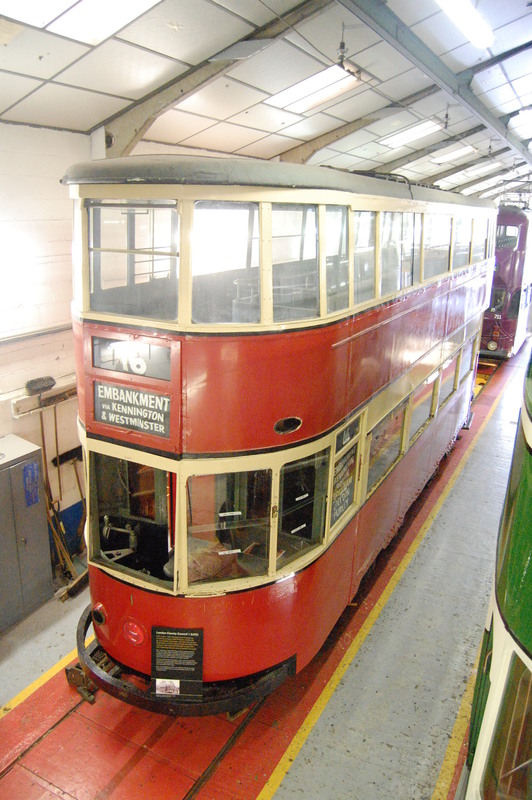 The next major restoration project at the National Tramway Museum is London County Council 1, the prototype for a new fleet of double-deck tramcars that was launched at a tramway-industry conference in 1932. LCC tramways were amalgamated into London Transport the following year, and a policy of tram-replacement meant that the design never went into production. Nicknamed “Bluebird” because of its distinctive original livery, it has been red for most of its life – first as London Transport no 1 and – after it was sold to Leeds Corporation in 1951 – as Leeds 301. Because of its historic significance it was donated to the then Museum of British Transport at Clapham in 1957 and eventually found its way to Crich. There it remained a static exhibit, mouldering quietly, until its condition became a matter of concern and controversy. The materials used in its construction – aluminium in contact with steel – have caused galvanic corrosion, which if unchecked would cause it to disintegrate. Should it be brought back to working order, which would involve dismantling and the inevitable replacement of mechanical parts and bodywork? Or should it be treated as a relic, too important to be touched? The resolution has been to go for full restoration, with a forensic, meticulously documented survey of its condition to ensure that historically valuable parts that can’t be reused are kept for future reference. It will also be expensive – somewhere in excess of £150,000. 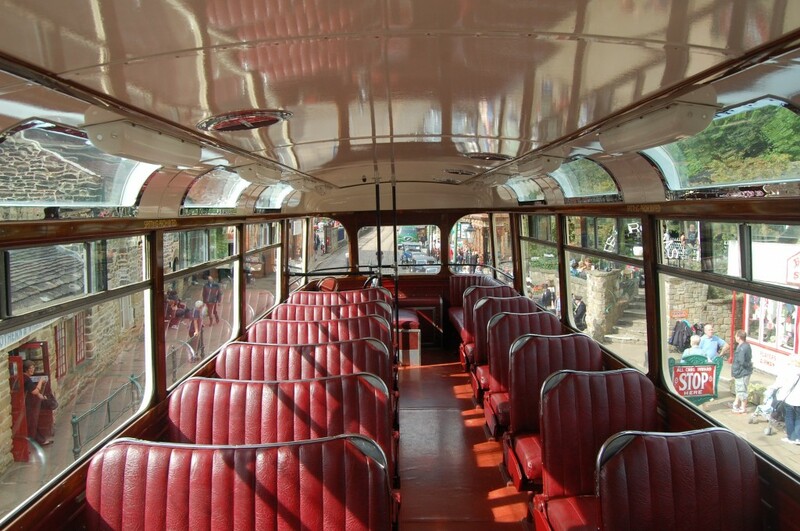 The arguments rumble on in real-life and in internet forums http://www.britishtramsonline.co.uk/news/?p=6862, but I’m more than happy to see another magnificent, significant historic vehicle brought back to life. This entry was posted in Transports of Delight on May 23, 2015 by Mike Higginbottom. The National Tramway Museum proudly unveiled their most recent restoration project, Sheffield 510, in its spectacular “Sheffield’s Last Tram” livery, in May 2014. 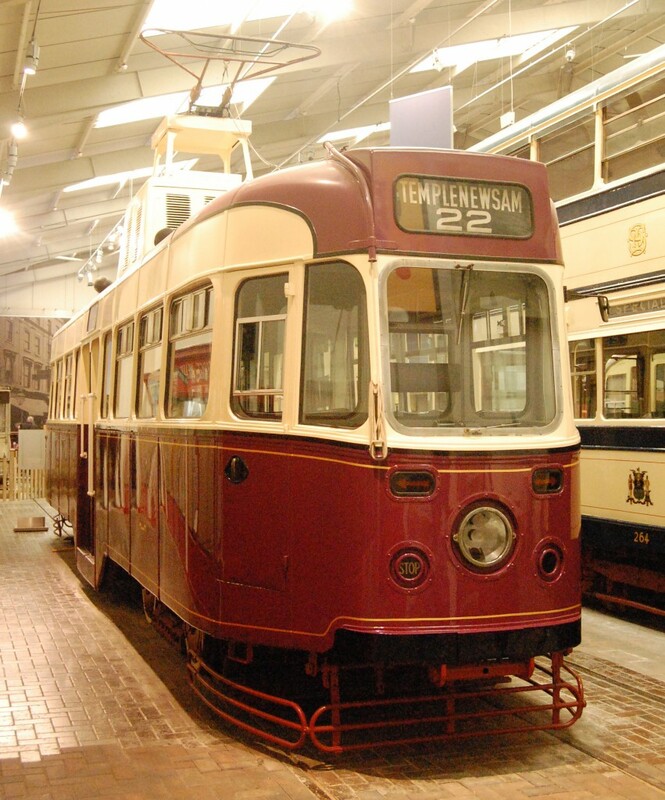 One of two surviving Roberts cars – the other, 513, is now at the East Anglia Transport Museum, Carlton Colville – its carefully restored livery commemorates its status as the very last tram in the procession which closed Sheffield’s first-generation tramway in October 1960. These fine trams, a logical and elegant development of the pre-war standard Sheffield trams, ran at most for ten years from 1950: indeed, the last three were delivered in 1952 after the decision had been taken to abandon the tramway in favour of diesel buses. Along with the Glasgow Corporation’s longer, bogie Cunarder trams, they represent the final development of sixty years of double-deck street trams in Britain. The detailed log of 510’s restoration, which began at the end of August 2012, shows that it was a complicated and extremely careful operation: http://tramcarsponsorship.org/news.html. At the time it was taken out of service at Crich in 2007, 510 was making a great deal more noise than these famously quiet cars should do. The resilient gearing by the Sheffield manufacturer, Metropolitan Vickers, had worn out and has been completely renewed in the restoration. The other concern was that the Last Tram livery, with hand-painted murals illustrating episodes in the history of Sheffield tramways, was deteriorating badly. The original panels have been conserved, and new panels coach-painted with meticulous reproductions of images which, in 1960, were intended only to last a week. The seats, red leather upstairs and green moquette downstairs, are fresh and the whole tram has been repainted inside and out. 510 now looks as good as new, and in some respects it is new: metal, wood, paint and fabric deteriorate over time, however sheltered their surroundings. No museum piece can be preserved in aspic, and the painstaking restorations that the National Tramway Museum carries out year after year enable visitors to experience the past in the present, knowing it’ll roll on into the future. This entry was posted in Transports of Delight on May 18, 2015 by Mike Higginbottom. 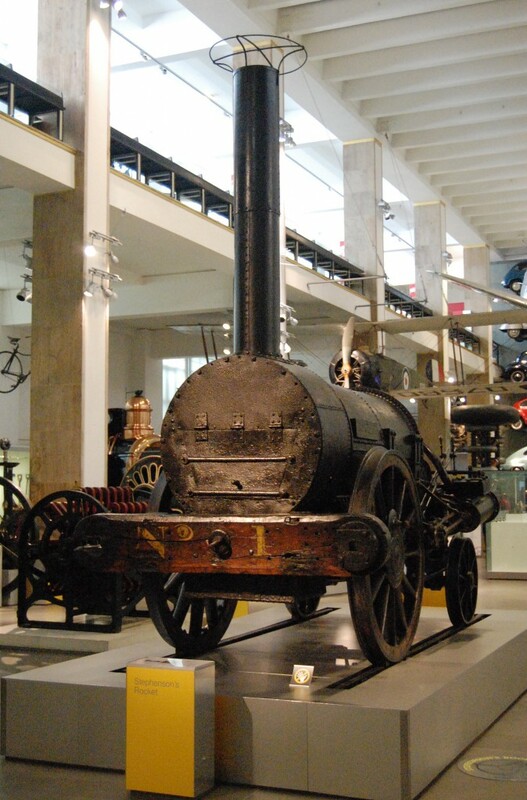 One of the precious exhibits in the South Kensington Science Museum is the remains of the original Rocket, the revolutionary locomotive, accredited to George Stephenson but probably mainly the work of his son Robert, which won the Rainhill Trials in 1829 and headed the first ever inter-city train on the Liverpool & Manchester Railway the following year. It was by no means the first practical steam locomotive, but it was certainly the first that could travel at speed to operate passenger trains between distant destinations. The Stephensons’ design brought together a number of features which were either new or had been tried tentatively in earlier locomotives – a single pair of driving wheels unencumbered with heavy connecting rods, linked directly to a diagonally positioned cylinder, powered by a multi-tube boiler (like an immersion heater with twenty-five elements) with a separate, coke-fired firebox and a blast pipe to increase the heat of the fire. It was Rocket, driven by the future civil engineer, Joseph Locke, that ran over and killed the President of the Board of Trade, William Huskisson MP, at Rainhill during the opening-day ceremonies. Rocket was superseded by superior designs within four years, and was put to various uses until 1862, when it became a museum piece, donated to the Science Museum’s predecessor, the Patent Office. It is shown in its 1862 condition, because its integrity as an artefact means much more than any attempt at restoration. The various replicas, some in working order and one in cutaway form, show what Rocket was like when it was built. The original is original. This entry was posted in Transports of Delight on May 13, 2015 by Mike Higginbottom. Filey has unexpected charms. It’s a good place to reach by rail. The station is a particularly well-preserved example of the work of George Townsend Andrews (1804-1855), with an overall iron truss roof and a standard North Eastern Railway footbridge slotted into the train-shed walls. The short walk to the sea is unremarkable, until you reach the cliff edge. Ahead is the North Sea, which in the nineteenth century was called the German Ocean. In each direction spectacular cliffs stretch to Filey Brigg in the north and southwards towards Muston, Hunmanby and Reighton. Facing the coast, but separated from the cliff-edge by ornamental gardens, is the Crescent, an elegant ensemble of Regency terraces, constructed for an enterprising Birmingham solicitor, John Wilkes Unett (1770-1856), who commissioned plans for a resort to be called New Filey from the Birmingham architect and surveyor Charles Edge in 1835. There is a subtle demarcation between the Crescent area and the Old Town. The two are interdependent, but Unett’s speculation was aimed at “those who possess a relish for the pure exhibitions of nature, and take with them a little society”. Visitors came to Filey, as a quieter alternative to Scarborough, from the beginning of the nineteenth century, and initially they came by road. In the 1820s two stage-coaches operated, each on alternate days, six days a week. Local sailors and their wives recognised that catering for tourists was at least a supplement to the unpredictable fortunes of the fishing trade. The Hull-Scarborough railway opened in 1846. It could have encouraged an invasion of excursionists, but they seem to have headed for Bridlington and Scarborough. Instead, Filey attracted a constant stream of visitors of high social standing and net worth. Charlotte Brontë visited in 1849 and 1852; Sir Titus Salt came in 1871, and Frederick Delius was a regular visitor from 1876, when he was fourteen, until 1901. Filey was also the discreet resort of British and foreign royalty. Leopold II, King of the Belgians in 1873 made the first royal visit: he was Queen Victoria’s cousin, and he was followed by her son, Prince Alfred, Duke of Edinburgh (1880), her grandson Prince Albert Victor, Duke of Clarence & Avondale (1890) and her daughter, Princess Louise, later Duchess of Argyll (1899). German relatives of the British royal family also visited – the Prince & Princess Louis of Battenberg (1900) and Ernest Ludwig, Grand Duke of Hesse, and his family (1910). Indeed, well into the 1930s Princess Mary, the Princess Royal, who was married to the Earl of Harewood, used to bring her young sons for holidays to Filey. Ironically, Filey’s major claim to fame in the holiday industry was the Butlin camp, started in 1939 and completed as RAF Hunmanby Moor. After the war it flourished, to the extent that it had its own branch line and railway station. The camp’s maximum capacity was 11,000 holidaymakers, and it ran successfully into the 1970s: http://www.butlinsmemories.com/filey/index.htm. It’s a fair bet that most of the thousands of visitors to Butlins never went near Filey itself. The Butlin’s branch line closed in 1977 and the camp lasted until 1983. It has completely disappeared under redevelopment. 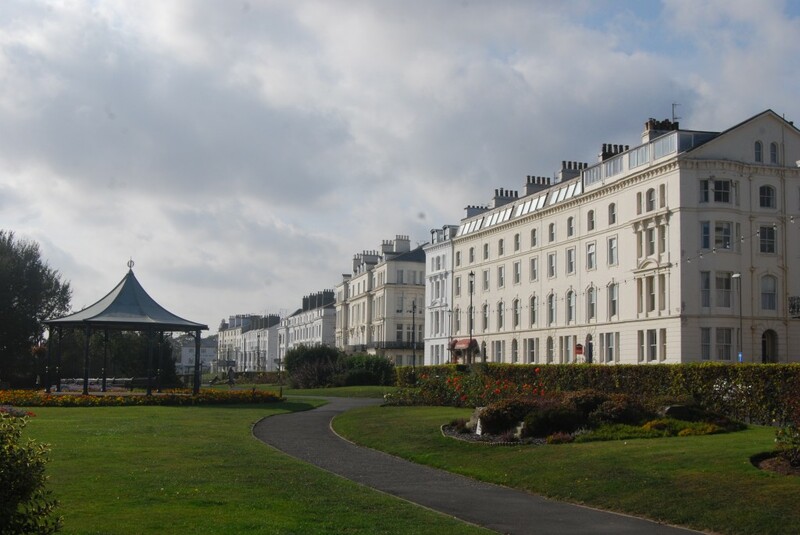 This entry was posted in Fun Palaces, Victorian Architecture, Yorkshire's Seaside Heritage on May 1, 2015 by Mike Higginbottom.